Offering expertise across a broad range of corporate and commercial activities, we are able to assist businesses during their full life cycle - from incorporation or acquisition, general trading and finally to sale, takeover or family succession. Successful business owners realise that getting the right advice at the beginning of a transaction is fundamental to the achieving the right outcome - sale or purchase of major assets, contract negotiations, distribution or franchise agreements, loan agreements, securities and share transactions are just a few areas where problems can arise. Our lawyers can assist you to ensure you get the best results. If you have already run into problems, they will help you resolve them. For enterprises seeking to expand, our Corporate Team has a reputation as a market leader in Initial Public Offers (IPOs) and equity capital market transactions, having completed in excess of 26 IPOs/Stock Exchange listings in recent years, as well as being able to assist clients with various other types of capital raisings and advise on Corporations Act provisions and ASX Listing Rules. Our experience with a diverse client base including large private companies, listed corporations, small businesses and individuals across a broad range of industries means our lawyers understand the opportunities and challenges which confront the business community. They are on hand to provide quick, effective and strategic assistance designed to meet your needs, objectives and time constraints.  Acted for the South Australian Cricket Association (SACA) with respect to arrangements with South Australian National Football League, the Stadium Management Authority and the South Australian Government for the redevelopment of Adelaide Oval and SACA's ongoing use rights. The initial public offerings and ASX listings of Musgrave Minerals Limited and Commissioners Gold Limited. The merger of Bondi Mining Limited and World Titanium Resources Limited by scheme of arrangement. The establishment of Petratherm Limited's Paralana geothermal energy joint venture and advising on ongoing contractual issues. Acted for The Creeks Pipeline Company Ltd in connection with its prospectus capital raising to facilitate construction of a $100m pipeline from Jervois on the River Murray to service Langhorne Creek and Currency Creek primary producers. The sale of Avalon Systems Pty Ltd, a local South Australian defence business, to Ultra Electronics, a listed company in the United Kingdom. The sale of Sydac Pty Ltd, a South Australian simulation technology and engineering software business, to the German based Knorr Bremse Group. The $12m sale of a local South Australian travel company to a listed company in the United Kingdom. The establishment of, and fundraising for, an unregistered managed investment scheme focussing on the construction and management of aged care facilities in South Australia and New South Wales. The purchase of a petroleum company with 48 retail service stations in South Australia. Acted for an ASX listed company in respect of its proposed acquisition of a mine in China. Advisied on South Australian legal issues arising from the development of the Lake Bonney Wind Farm. Acted for the purchaser of South Australian radiology practices in respect of its due diligence, contract negotiation and settlement (and subsequent ‘bolt on' acquisitions), and advising on ongoing internal and operational issues.